Audioslave is a music group founded in 2001 in Los Angeles, California. On Spotify, Audioslave's following is big, with around 2.1 million followers and a popularity score of 72 out of 100 as of 2018. The movies Audioslave - Live in Cuba (2005) and Live 8: Berlin (2005) featured Audioslave. A popularity score of 72 out of 100 and 2.1 million followers as of 2018 makes Audioslave one of the most popular groups on Spotify. Audioslave and Out of Exile are some of the more popular Audioslave albums. Notable tracks from these albums include Like a Stone, Show Me How to Live, and Be Yourself. Like a Stone has a popularity score of 77 out of 100, making it the most popular track from Audioslave. Show Me How to Live and Be Yourself have popularity scores of 72 and 69, respectively. The Spotify popularity score is on a scale from 0 to 100 and reflects the number of times the song has been played and how recently it has been played. As of 2018, Audioslave has appeared in about 4 movies. Some of the most recent Audioslave movies include Audioslave - Live in Cuba, Live 8: Berlin, and Attack of the Killer Rock Sound. 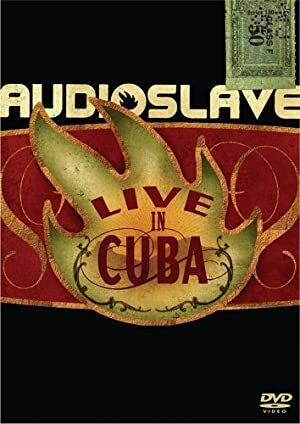 Audioslave - Live in Cuba was released in 2005. Live 8: Berlin was also released in 2005. Attack of the Killer Rock Sound was released in 2003.